Kids need nothing more than a table or small bit of floorspace to fling their Morbs around and see these little ping-pong type balls convert into the zany, fantasy characters that make them so collectable. However, if you want to ramp up the intensity to the max then you'll probably want to get your hands on one of the Morbs playsets such as the Battle Fortress shown below. Simply slot your favourite Morb into the cannon, hit the launch button and watch it get propelled into "morbit"! 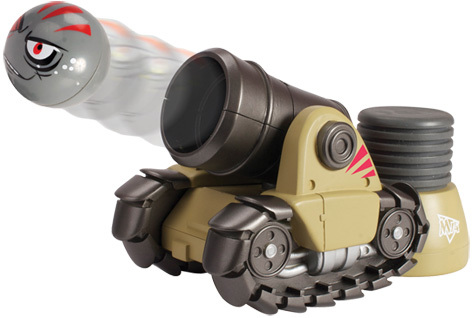 Combine the Battle Fortress Playset with the Morbs Sonic Fighter Jet or one of the Mega Morbs and you can treble the fun. These playsets are going to be sought after by young Morb fans everywhere - and will almost certainly lead to some ferocious but good-natured battles in playgrounds up and down the land! Please tell us what you think of the Morbs Battle Fortress Playset by Flair.